What else is going on at Members Round? Post-match guernsey presentation. Have you attended all Lions games at the Gabba this year? You could be in the running to win! All winners will be contacted by MemberHQ. 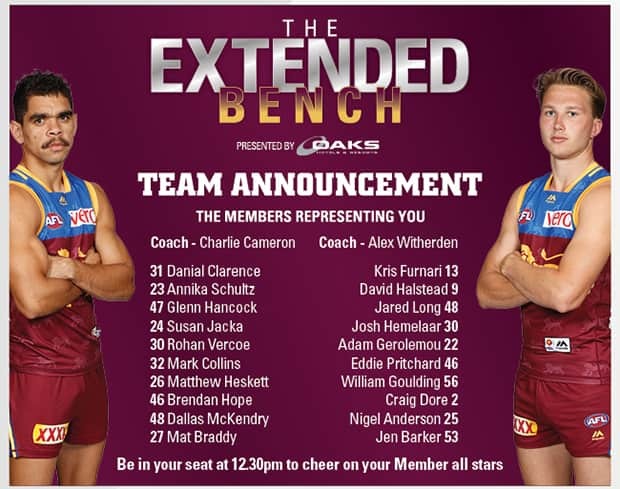 See the full terms and conditions of the Extended Bench.